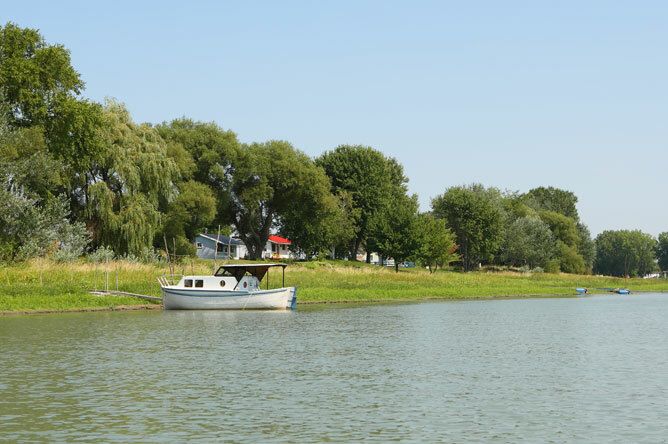 Drawn by the appeal of a peaceful lifestyle, surrounded by the sound of the wind in the trees, the gentle waves lapping at the shoreline, and the birds singing from every tree, many people come to stay in the archipelago for the summer or year-round. 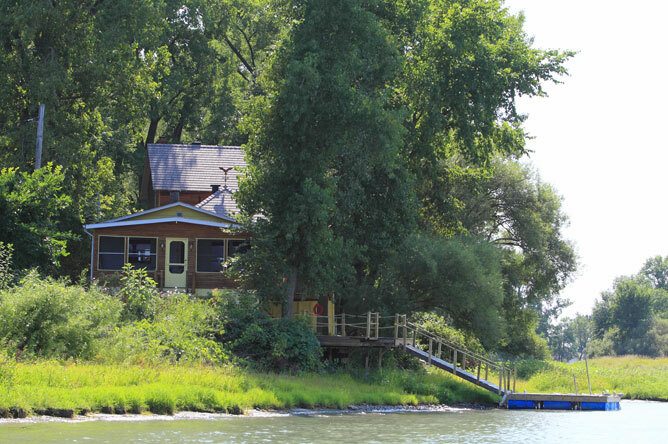 Some cabins, such as the ones on Île Bibeau, are quite sophisticated and have electric power. Certain cabins are very large. 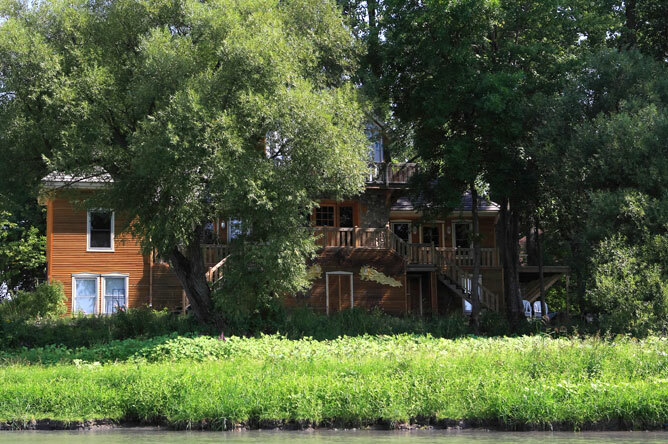 This cabin on Îlette au Pé close to Île aux Fantômes was home to famed Quebec novelist Germaine Guèvremont, author of "The Outlander." She painted an accurate portrait of life along the Chenal du Moine. Many cabins are heated by a wood oven, which is also used to cook food. 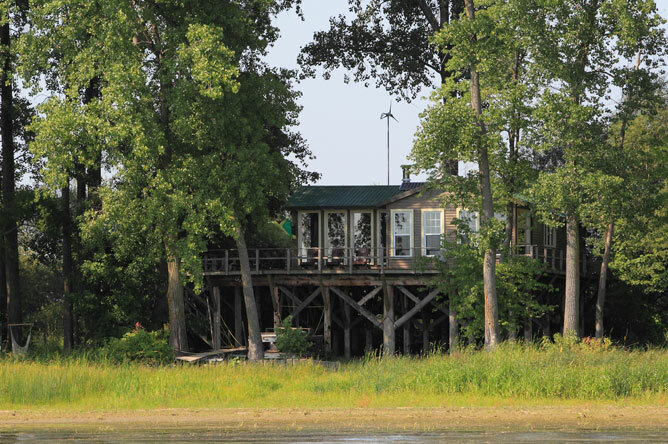 Cabins on this island are built among stands of Eastern cottonwoods and perched on high stilts. 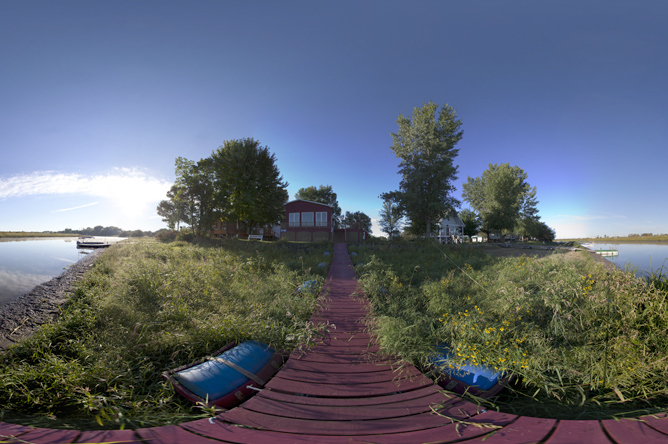 We would go to Île Plate, where my father had set up our campsite. 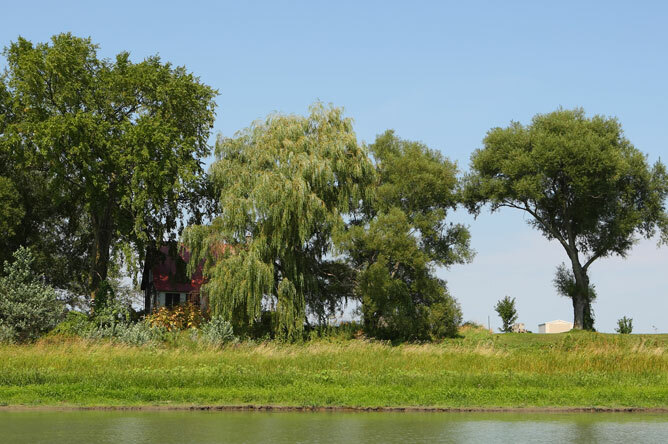 The island never changed; it was a flat piece of land where nothing but cottonwoods grew. Certain cabins can seem quite precarious. 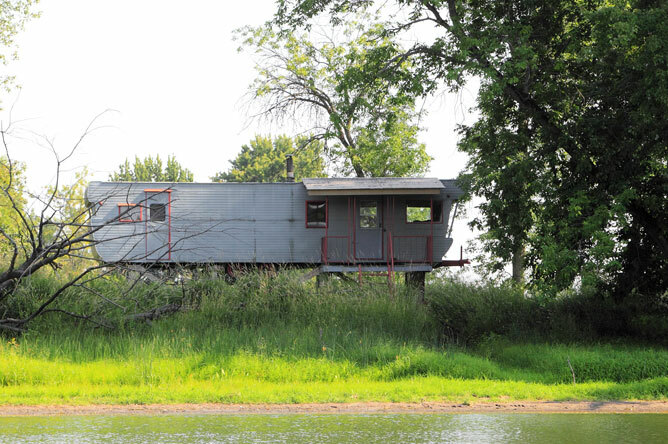 Some people come up with inventive ways to improve the comfort of their cabins. 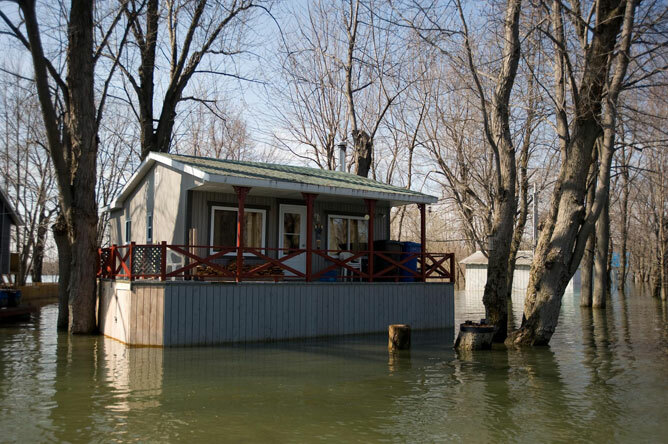 The owner of this cabin has placed containers full of water on the roof to obtain a reserve of warm water. 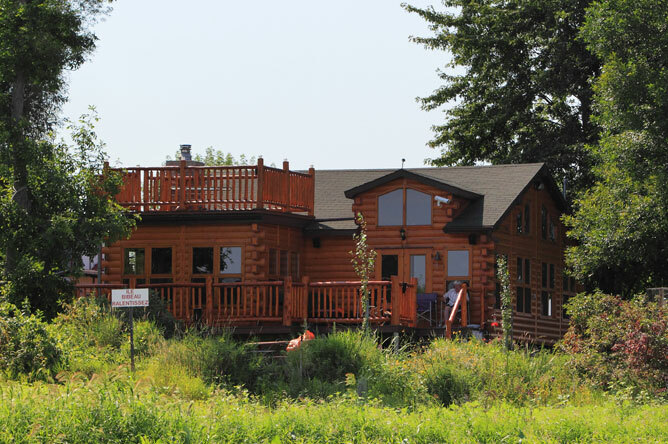 Cabins may even be equipped with a wind turbine to generate electricity. 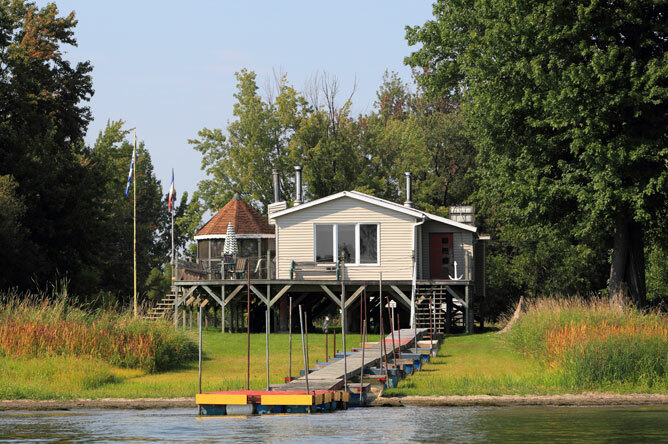 This lovely cabin can be rented from the Pourvoirie du lac Saint-Pierre outfitting operation. Away from the eyes of the world, a peaceful lifestyle is guaranteed. Most of the islands in the archipelago are only accessible by boat. The cabins on Île du Moine are facing the Chemin du Chenal-du-Moine. 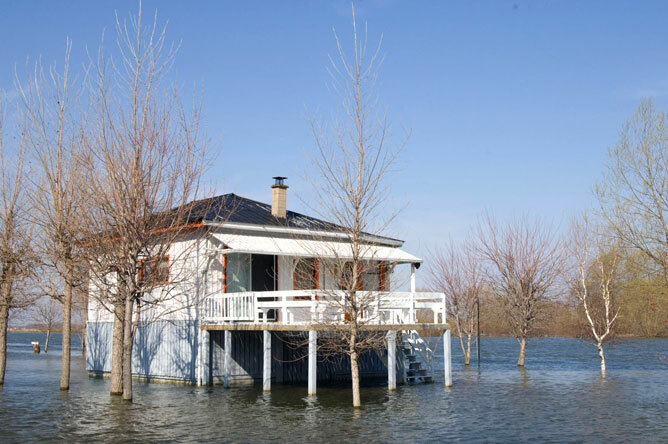 The river flows calmly from Montreal to Sorel, but as it nears Lake Saint-Pierre, where it will spread out into an inland sea, it scatters hundreds of islands in its path as if desperately trying to grab hold of the land. 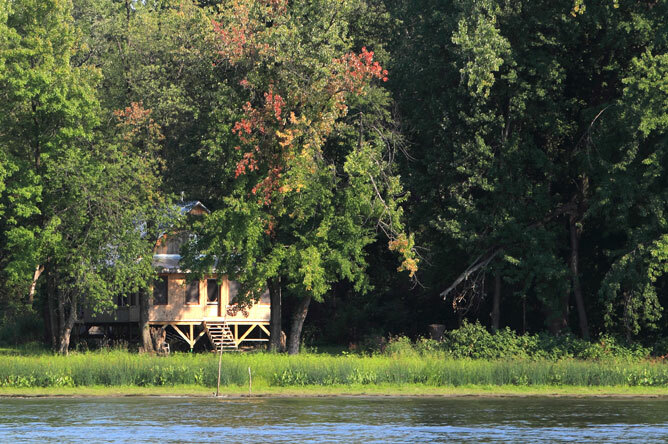 Cabins are built along the channels. 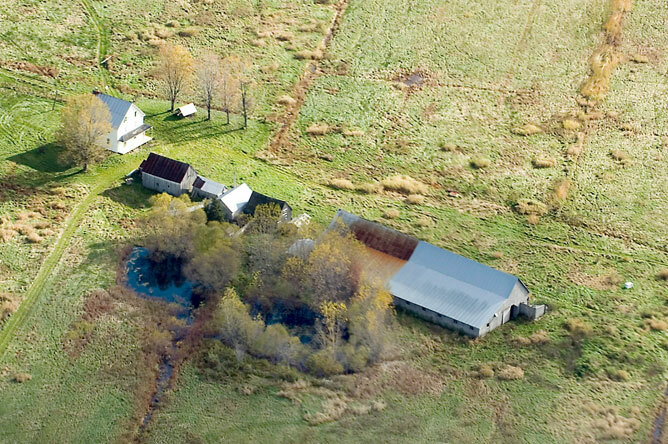 This prevents cottagers from competing with farmers for land on some of the islands. 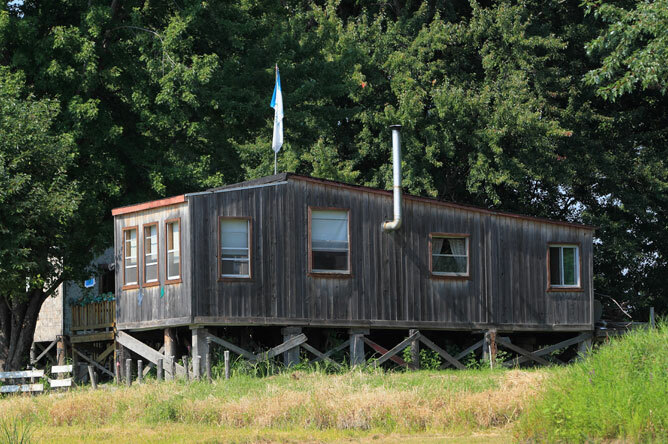 To avoid damage from spring floods, cabins built near the channels are raised on stilts. We would light both ovens; one burned wood and the other burned coal. 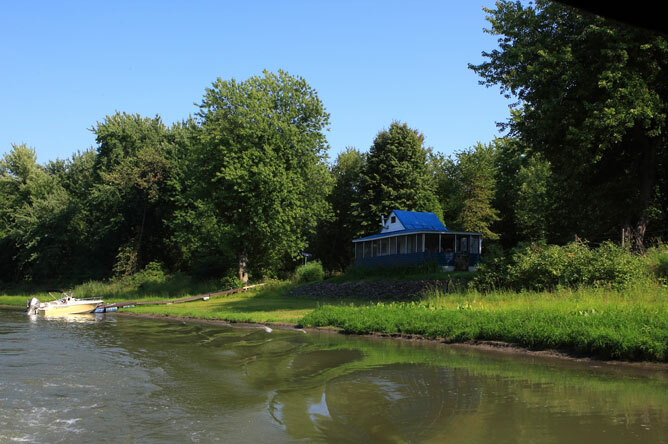 I would have a hard time getting to sleep because I imagined that while I was sleeping, the cabin could start sailing away and we would end up in the middle of Lake Saint-Pierre the next morning, with the cabin towing our boat. 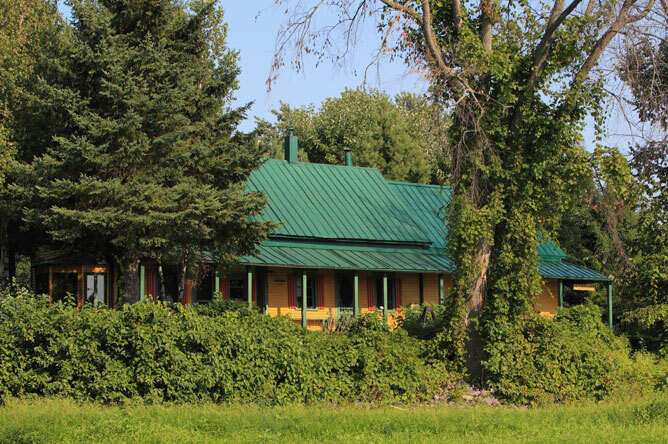 On the western end of Île de Grâce stand a farmhouse and its outbuildings, which were once home to Henri Letendre. 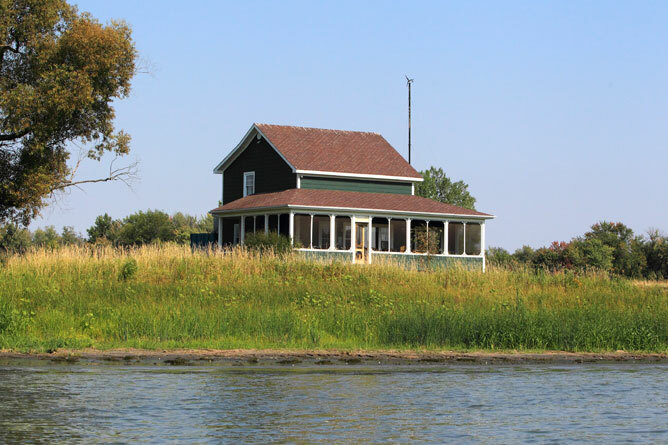 Considered the last of the islanders, he spent most of his life in the home where he grew up. Many people once lived year-round on this island, and there was even a little school where Henri's mother and aunts taught the local children. In 1947, some 50 families called the island home. The islanders would beat paths across the thick ice to access the mainland during the winter. In 1953, icebreakers began to clear the passage for ships throughout the winter and the ice bridges could no longer be built. Feeling isolated, most of the islanders left Île de Grâce. 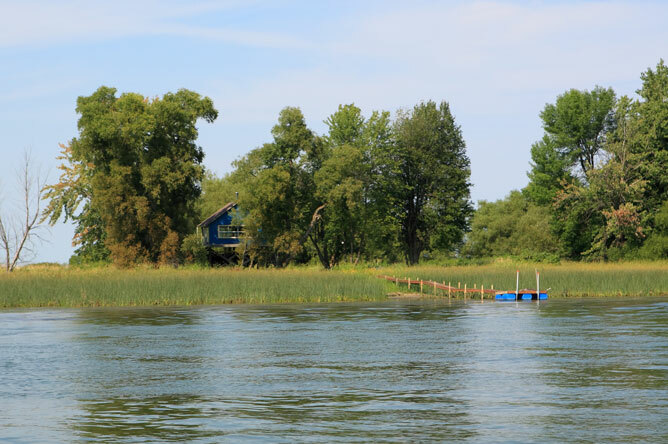 Today, the island is only accessible by boat and is mainly used by cottagers.